FILE SP 2014 honors the pioneer Otávio Donasci with his work Videocriatura (Videocreature). Otávio Donasci is a videoperformer, multimedia artist, director and professor. During the course of a 30-year career, he has developed more than 20 types of videocreatures with his own language called VideoTeatro (VideoTheatre) and has performed all around the world, winning several awards. A performer exchanges people’s faces on the streets as his own face with an iPad. You can recognize him by a face displayed on iPad, which is like a name or icon on the Internet. People on the SNS chose a face for themselves or famous talents or animation characters. 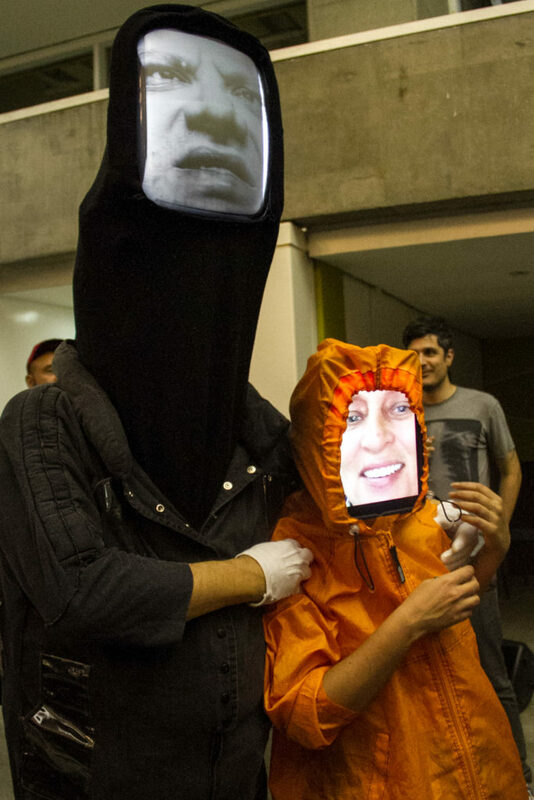 This performance expresses the temporality and the anonymity of the Internet. This Project’s name, YamadaTaro, is almost an anonymous name in Japan like ”John Smith”.